I've mentioned before (in this not-so-old post, for example) that I have a strange attraction to Pac-Land. The gist: I became aware of it at a time in my life when both Namco's Pac-Man and Nintendo's Super Mario Bros.--and a bunch of other classics--were front and center in my mind. As a result, an arcade game that combined both of those titles into one blew my teenage mind. Did this quarter-muncher's graphics and gameplay really deserve such a response? Not really. 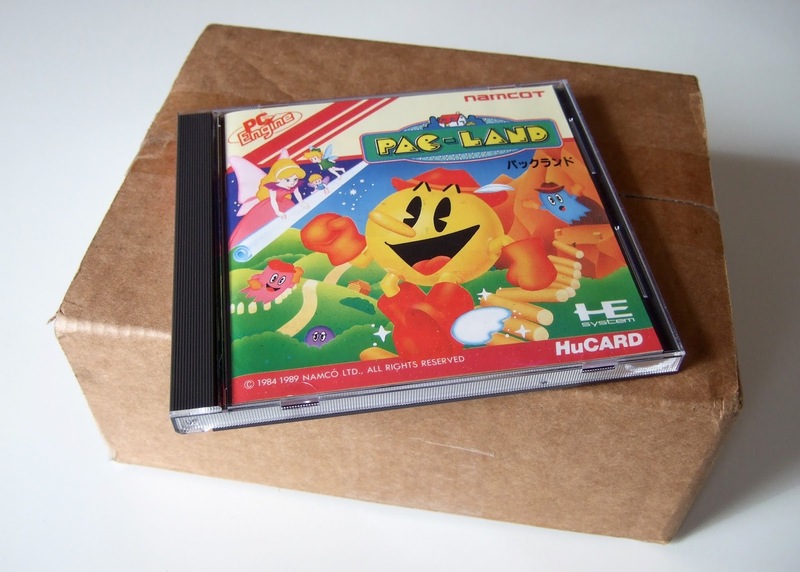 Pac-Land was more than a bit questionable even back then, especially in the looks and controls departments. Still, it could be fun to play, and it had a stellar soundtrack, so I plopped money into it whenever I was able--which wasn't very often, as the only cabinet I knew of at the time was located in a mall arcade a couple of hours from my hometown. I recently made up for that by buying the Japanese PC Engine version of the game. It was well worth the handful of dollars I spent on it. How so? Just look at the photos showcased throughout this post. They tell you everything you need to know, don't you think? 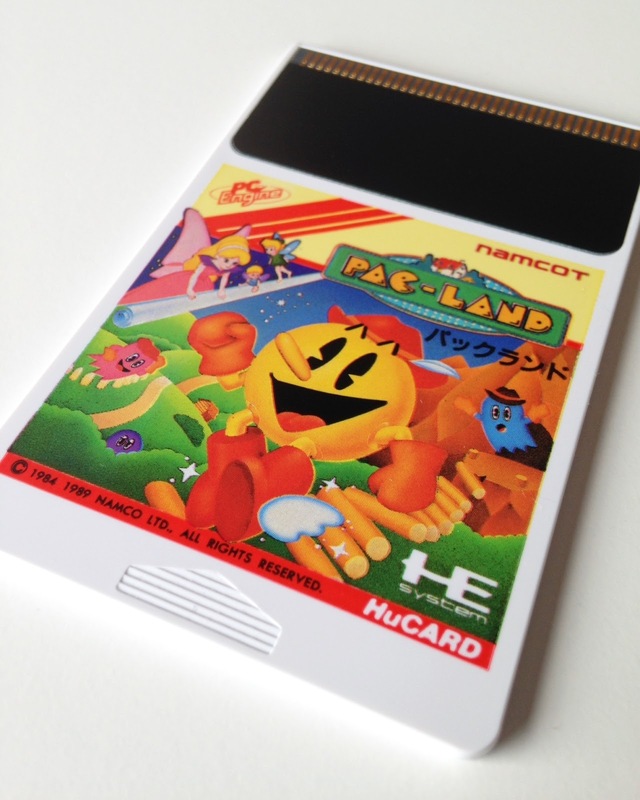 Thankfully, the game that's packed into the Pac-Land HuCard is, as I said earlier, a good bit of fun. Hey, it may not be on par with any of the 8-bit Super Mario Bros. titles, but it's miles better than the woeful Keith Courage. 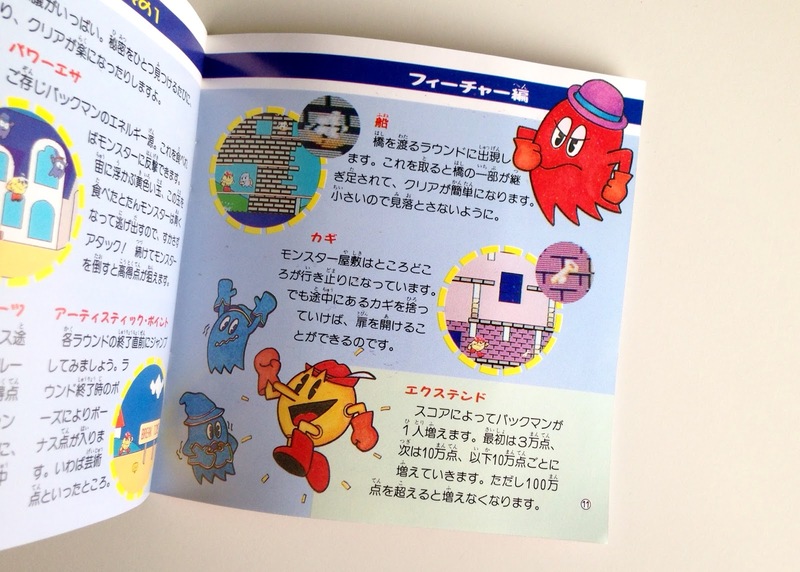 Anyway, as is the case with pretty much all of Namco's--or Namcot's--PC Engine releases, this one comes with a really eye-pleasing instruction manual (see above for a glimpse of one of its pages). Speaking of which, look for one of my "Manual Stimulation" posts that'll detail both the exterior and interior of this game's how-to booklet in the next week or two. In the meantime, are any of you Pac-Land fans? If so, share your thoughts and memories in the comments section that follows.